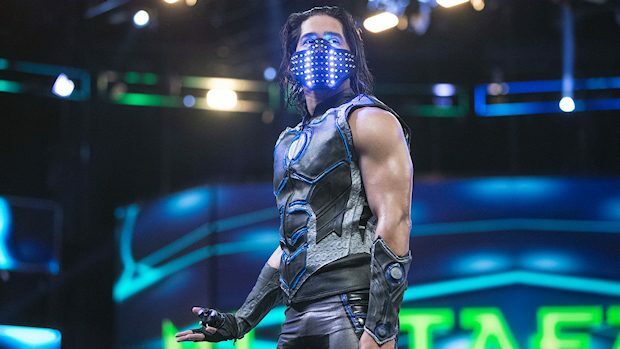 — Mustafa Ali is the latest WWE Superstar to have his name shortened. On Monday, WWE.com updated the SmackDown LIVE Superstar’s profile by shortening his name to Ali. As you can see in his updated bio, all mentions of his first name have been dropped. “A veteran of the cruiserweight wars, Ali brought his years of in-ring experience to Full Sail University in pursuit of the Cruiserweight Classic crown during the Cruiserweight Classic. “For more than a decade, Ali has honed his craft all over the country, squaring off with some of the toughest competition that both the cruiserweight and heavyweight divisions have to offer. Hailing from Chicago, Ali exudes a quiet confidence that allows his action to speak louder than words. Ali changed his Twitter handle to reflect the change and then did this tweet reacting to it. — At last night’s WWE live event in Allentown, Pennsylvania, Asuka retained the SmackDown Women’s Championship against Mandy Rose by forcing “The Golden Goddess” to submit to the Asuka Lock. Click here to see Mandy showing off her gear backstage.